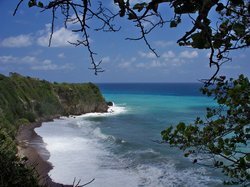 Tours from Best Jamaica Day Tours tend to sell out - travelers recommend booking in advance! We used Best Jamaica for our airport transfer service and we were very happy with the professional, reliable, reasonably priced and on-time service. Communication was the key starting with Shamelia Simpson-McKenzie who provided clear communication and a travel voucher that detailed the pick up and charges. When we arrived at the airport they were waiting for us after which Stevert took us to our resort. On our return Prince took us back. I would highly recommend them for your upcoming vacation. We just returned to NYC from nine days in Jamaica. 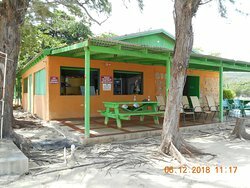 We used Best Jamaica for eight transfers. Each time they arrived early or on time. Each driver was professional, courteous, and friendly. The rates are far lower than those charged by the transfer company our hotels (Iberostar and Hyatt) recommended and than the on-site taxis. And Shamelia replied to each email and call incredibly quickly. 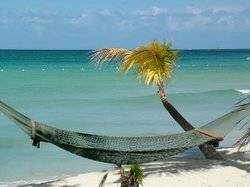 We wholeheartedly recommend Best Jamaica! Upon arrival we were met at the airport and escorted to our vehicle. After taking two hours to get through immigration and customs, it was nice to be greeted so warmly and treated so kindly to ensure that we got to our hotel as quickly as possible to start our vacation. They were also very understanding when I made a scheduling error that was to their detriment. Overall, I would highly recommend. They were easy to deal with and a very good value compared to the taxis and other services out there. 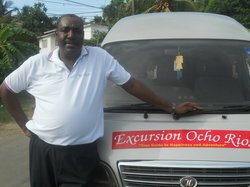 Our driver was professional and courteous as well as entertaining during our 1.5 hr transfer from the Airport to Negril. Highly recommended and reasonably priced. We booked a tour to YS Falls and Appleton Rum Estate from Montego Bay. Our driver arrived on time, and was very professional throughout the trip. (We had another experience with another company where the driver was on his phone the whole time.) He wasn't much of a guide, but he answered all our questions to the best of his ability, and was very pleasant. He drove us to YS Falls in 2 hours, and it was a super windy road. Make sure to take motion sickness pills beforehand, if you get queasy on the roads. They also had a car seat for our toddler, and the car was very clean and nice. On the way back, the driver seemed to take a much longer route through construction areas (instead of going back the way we came), and it took us almost 3.5 hours to get back to MoBay. Lastly, email communication with the owner, Shamelia, was very pleasant, and she was super helpful.